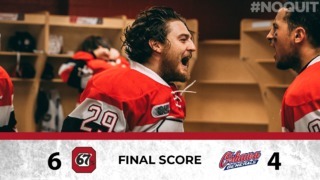 The Ottawa 67’s added some experience to their lineup Thursday, acquiring Pembroke-native Tye Felhaber from the Saginaw Spirit along with a pair of fourth-round picks in exchange for a pair of second-round and third-round picks and one fifth-round pick. Felhaber, an 18-year-old center, was selected 10th overall in the 2014 OHL Priority Selection Draft by the Saginaw Spirit, where he spent the last two seasons, recording 83 points in 140 games. In 13 games this season, Felhaber netted four goals and added four assists. Before joining the Spirit, the 1998-born forward played for the Ottawa Valley Titans where he amassed 72 points in 30 games (38 goals, 34 assists). 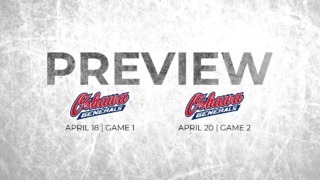 Felhaber will be reuniting with a familiar face in Ottawa, having defenceman Ryan Orban as a teammate with both Saginaw and the Ottawa Valley Titans. This past summer, Felhaber attended the Toronto Maple Leafs prospects camp as a free agent. He has also represented Canada at the World Under-17 Hockey Challenge. 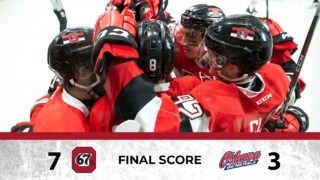 The 67’s hit the road again this weekend, for another three games in three nights’ stretch, starting in Guelph Friday evening.